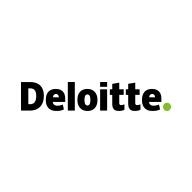 Deloitte is seeking Managers who are professionals with deep industry experience and strong records of academic and professional achievement who have the capacity and desire for continuous development and growth. Deloitte professionals must also be capable of working and communicating with people at all levels of an organization. Managers provide clinical knowledge to teams, lead multiple project work-streams, small engagement teams or components of large, complex engagements. Deloitte Managers typically work with a project team dedicated to a single client, taking direction from the project leader. They work side by side with Principals/Partners /Directors and other Consultants at all levels, often with exposure to clients’ C-level executives, organizational leaders and team members. Managers will lead work streams of client projects and contribute to the overall engagement delivery. Project teams work onsite with the client team, typically necessitating travel three to four nights a week. Minimum of 6 years of professional experience in Health Plans industry, or a mix of a few years’ industry experience and functioning as a Manager or higher in a Consulting environment.